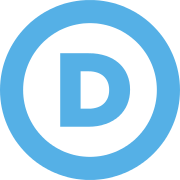 The Democratic National Committee (DNC) held its Fall Meeting in Las Vegas last week, one of two annual meetings that bring together the leadership and elected members of the national Party to conduct official business and, in this case, set the agenda for the next four years. * State-Elected: 200 members. Minimum of two from each state, DC and Puerto Rico, based on population and Democratic voting strength (California most with 20). Members are also apportioned to Democrats Abroad, American Samoa, Guam, Northern Mariana Islands, and the US Virgin Islands. * Official Party Committee representatives from DSCC, DCCC, DGA, Mayors, DLCC, DMO, Democrats Abroads and others (more to come on party branches). The Nevada meeting was also the first for DNC Chair Tom Perez and the national officers since being elected last February at the Winter meeting in Atlanta. For Perez, who was new to the minutia of managing inner-party politics, the meeting also marked a critical point in measuring his promise to rebuild a "new Democratic Party" that was struggling following a devastating general election defeat, long-term repercussions of a bitterly devisive primary battle, and depleted financial coffers following the loss of the White House. 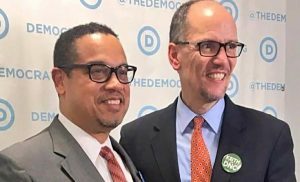 DNC Deputy Chair Keith Ellison and Chair Tom Perez have been touring the country a team. Their supporters are not as united. The four-day event at Bally's Hotel and Casino kicked-off Wednesday, October 18th with meetings held by the DNC's Unity Reform Commission and the Association of State Democratic Chairs (ASDC). 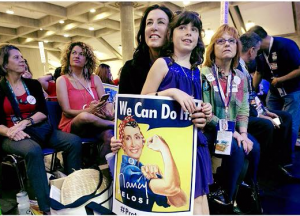 The official DNC meeting began Thursday, encompassing three days of caucuses and councils, trainings, resolutions, and confirmation of the Chair's appointments to the four standing committees and the Executive Committee. Featured speakers included US Senator Catherine Cortez Masto, Congresswoman Dina Titus, Congressman Ruben Kihuen and Congresswoman Jacky Rosen. 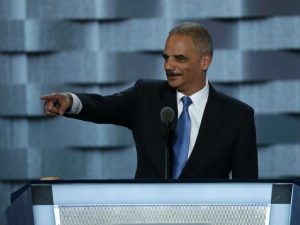 Former US Attorney General and current Chair of the National Democratic Redistricting Committee (NDRC), Eric Holder, opened Saturday's general session and former Senate Majority Leader Harry Reid (NV) made a surprise appearance. Passed: A Ban on corporate donations that "conflict" with the DNC platform -- including those tied to tobacco companies, gun makers and payday lenders. Failed: Resolution urging independents like Senator Bernie Sanders (VT) and Angus King (MN) to "register or affliate with the Democratic Party" by 2018. The week provided its share of controversy, with factions falling along the still familiar lines of progressive vs establishment, Sanders vs Clinton supporters, or those who backed Keith Ellison over Perez' successful bid for Chair. Most notable was the ouster or shifting of long-standing officials from key committees - some of whom were former Ellison and Sanders supporters. Although the actions were defended in the name of diversity, most of those removed fell in a minority category - further fueling the ire of Perez detractors and talk of proposing an alternative slate to the Chairman's picks. The unsubstantiated slate rumor, originally attributed to Sanders supporters, was said to include removal of three prominant black, female DNC members - setting off a flury of denials and speeches before some compromises and, ulimately, final approval of new committee members Saturday. The meeting also saw a strong nod to labor with the appointment of additional members, the creation of a Native American caucus, and a commitment to candidates at all levels of electoral competitiveness. In the end, a positive grade for the meeting and DNC leadership - whose greatest challenge, unfortunately, may still be mending internal divisions at a time when unity is truly essential - for our party and the country. Thanks to DemList followers for your patience while the Publisher's writing hand was on the mend. We will be back to the normal daily schedule next week! DemDaily: The March – Watch the Power of the People Now! DemDaily: What Do We Have To Lose? In the midst of all the negative, there are some very creative and positive messages being spread through music and art.